In the UK, Scotland are always the trendsetters and England follow. England have just introduced the “plastic bag rule” but since October 20th 2014 in Scotland every retailer charged 5p for every new carrier bag issued. The post that follows is what I thought at the time and let’s just say that a year or two on I have enough “bags for life” to last me a hundred lifetimes! It only gets used once a year at the moment so I really will be getting my money’s worth from it! What about the all those shiny 5p’s that I will be saving? What will I do with them? Thinking back to those days when my Gran would give me a 5p and seriously advise me “don’t spend it all in one shop” what did I do with it? This may seem like I’m spending 2p but I’m not really as these two delightful chews were part of a double act. 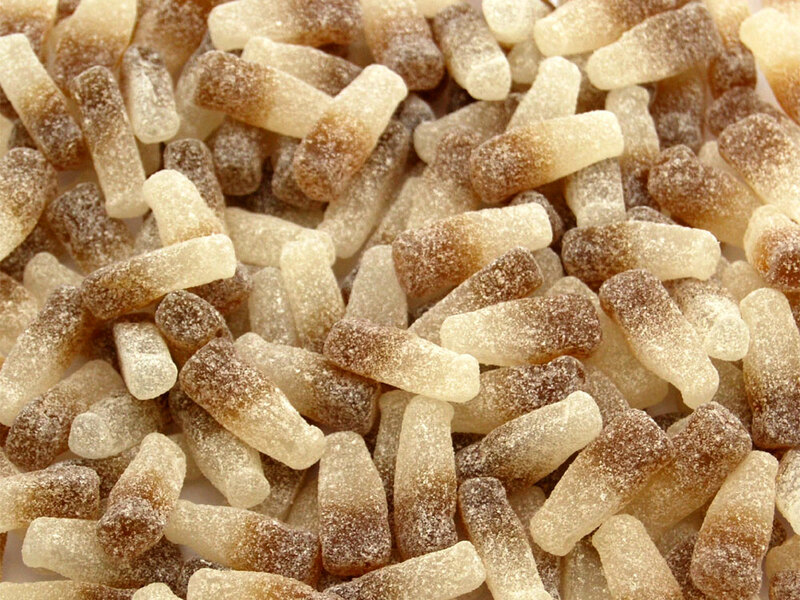 If you wanted to be a bit posh and healthy by eating something that was a chemical combination of pineapple and raspberry you would have a Fruit Salad but if you wanted your tongue, mouth and teeth to literally turn black while enjoying the taste of coal then you would have a Black Jack. Nowadays these two terms mean completely different things to me – a black jack is something that doubles my money and a fruit salad is an option I would avoid at all costs on a menu in favour of the cheesecake! They also came in both white and milk chocolate flavours which was always an added excitement. Sometimes you even got two stuck together and to this day I haven’t worked out if I was actually charged for one or two in those particular cases. If it turned out I was charged for two then I will be seeking legal advice on how to reclaim all my lost pennies from said ice cream man (who just happened to be called Jazz but I think that was coincidence rather than the fact he made the sweeties himself). Some kids weren’t allowed bubblegum. Most kids weren’t allowed tattoos. Every kid wasn’t allowed to talk to strangers . All kids I knew went to “the ice cream man” to buy bubble gum that came with a free “tattoo”. 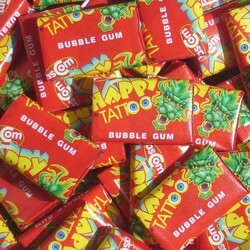 Everyone thought they were so cool blowing bubbles and at the same time had a tattoo on the back of their hands. Whereas, back in reality, what they really did have was the ability to get some sticky pink gunk popping all over their face and a blob of ink on their skin that eventually had to be rubbed off with a scrubbing-brush by their mums (sometimes the skin came off too) before they went to bed! This particular sweet could not be purchased from the ice cream man and you had to go to the sweetie shop for this as it was one of those “can I get a quarter of” type sweets. I had totally forgotten about these until just now and have decided that tomorrow I am going on a “sweet peanut search“. Number one couldn’t have been anything else but cola bottles for me. There are the standard jelly types which I do like but the fizzy ones are my favourite by far. As far as I’m concerned the fizzier and more bitter the better! If it doesn’t draw your cheeks in and make your face sweat at the same time then it’s just not worth the penny. I guess it doesn’t have to be just cola bottles that do it for me but any fizzy sweet. I’ve recently started buying Haribo Tangfastic mini packs and will quite happily empty an entire pack in my mouth at once and trust me – you feel the fizz! Soor plooms, candy balls (which weren’t balls at all, chuckies, we called them), peanut brittle, sports mixture (loose in a pokie ! ), MB bars, bazookas, buttermilk dainties, chocolate coated Highland toffee and Woolie’s pic ‘n’ mix. Heaven on a Saturday with one or other or all. Home to watch whatever musical was playing and teeth crunching delight. Two that no one ever seems to remember are Mint Cracknell and some sort of chocolate coated apple pieces in an apple shaped bag. Oh I’d forgotten all about the chocolate covered highland toffee and yea my teeth hurt just thinking about that. I still love sour sweets though and am loving haribo tangfastics right now. 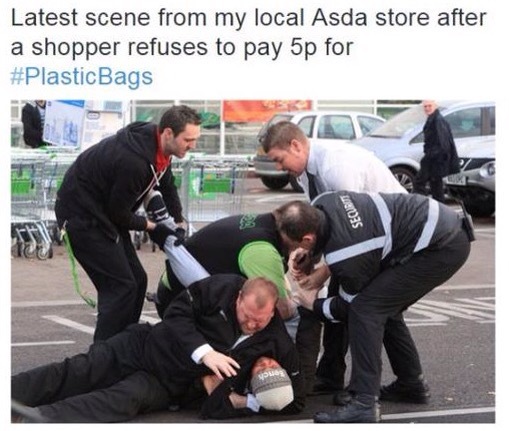 I’ve just paid 5p for a plastic bag after forgetting that the new rule had come in yesterday here in England. Being Welsh I should have known better seeing as Wales introduced the scheme a few years ago along with Scotland and Northern Ireland. If I had purchased razor blades I could have had the bag for free so the shop assistant told me. “How much are the razor blades?” I asked. “£9.99” came the reply. It was a no-win situation for me. As for Sweet Peanuts, we have a shop here in Brighton that sells them. Let me know if you can’t find any and I will gladly buy you a quarter of them and send them up to you (minus a plastic bag). I forget bags all the time hence why I now have a cupboard full of bag for life ones. I think I may have tracked down a shop that does the sweet peanuts! I crush sweet peanuts up and sprinkle them on Ice Cream. I’ve also added them to cup cakes! Glad you found somewhere that sells them. 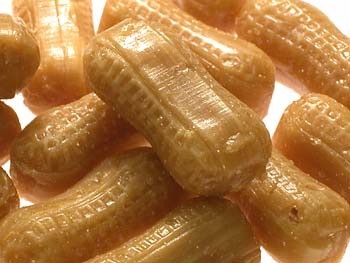 There are plenty of sweet peanut suppliers online as well.